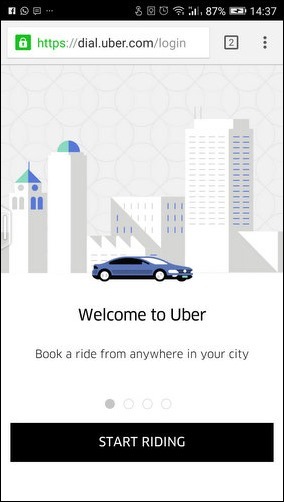 For frequent travelers, having an Uber app on their phone is a must, especially in this rainy season – but what if you don’t have the app or for some reason, you don’t want to install it. Even if that is the case, Uber has now got you covered. You can now easily and quickly book an Uber even without the app on your phone. You just need a mobile browser. In fact, the experience without the app looks much leaner and simpler. Here is how it works. 1.) Navigate to dial.uber.com on your mobile phone browser. You will need to enter your registered mobile number. Incase, you are a new user you will need to register with Uber before you can ask for a cab. Once you enter you mobile phone number correctly, you will get a prompt to asking you to start the ride. 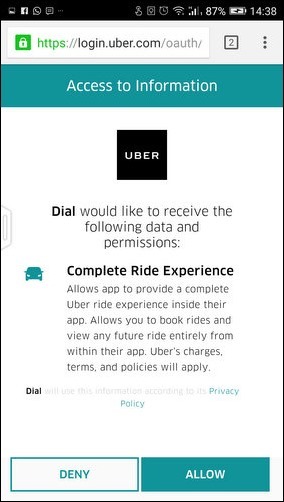 However, before you start riding you will need to give permission to Dial web app to receive information from Uber. 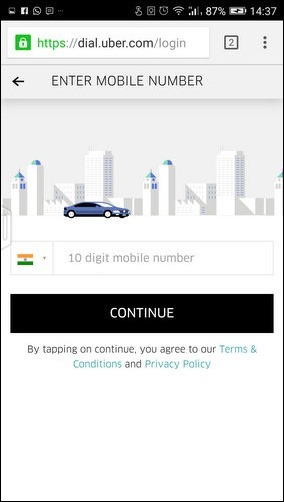 Once you allow it, you are all set to book your Uber Cab. The Uber Dial Web app does away with the familiar maps view – while some users may not like it, in our opinion, it makes the browser experience much more simpler and leaner. The user gets a screen which offers you information on how far (in minutes) is the nearest Uber car. There are many reasons why Dial will appeal to many – First, it does not have much of a learning curve (It is even simpler than app) – very little chance that anything can go wrong. Secondly, it is light on your smartphone. If you have an under-powered and laggy smartphone, you will not have to worry about any app crashing or hanging. And, most importantly, you can talk to driver and give him directions to your location. 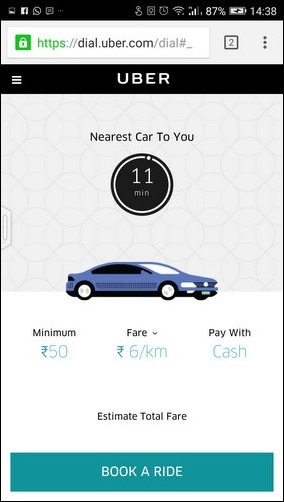 "Now, Book A Uber Quickly Without a Mobile App! ", 5 out of 5 based on 11 ratings. “No card, no wallets just simple cash.” – WTF??? The idea (behind digital) is to get RID of cash, not to *encourage* it! !